There's been quite the buzz flying around the Mt. Portland compilation, and that buzz could not be more warranted. An idea turned reality, solo musician Joel Magid saw how transmuted Portland and its music scene have become, and decided to capture it one track at a time. 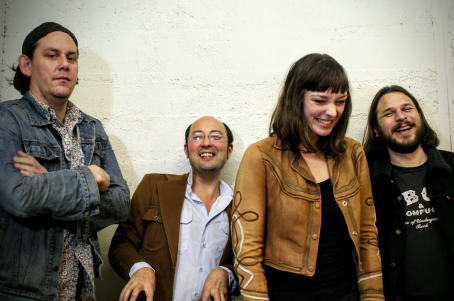 Featuring 13 of PDX's most beloved and brightest, like the Century, Talkative and what very well may be the last recording from Grandparents to name a few, the Mt. 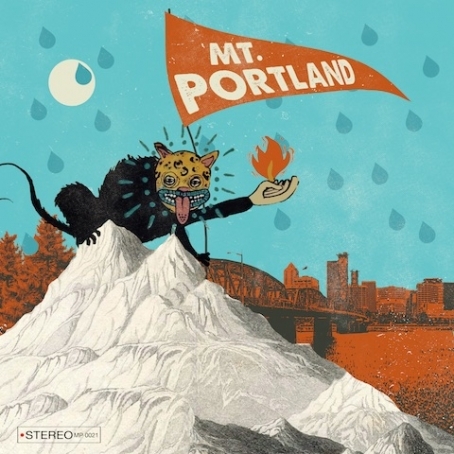 Portland compilation doesn't even come off as such thanks to its production. Each original, previously unreleased track was recorded at Buzz or Howl Studios by owner Stan Wright. Though the bands on the comp aren't bred of the same genre, Wright's analog recording technique melded each contributed track seamlessly, resulting in a collection that's more cohesive than just compiled. Both Wright and Magid fronted recording time, pressings and all other costs themselves, keeping the compilation not for profit and free for us to consume. Stream the compilation below and check out the Mt. Portland release show tomorrow at Rontoms, for free. Performing will be Boone Howard and Michael Finn (the Domestics), Candace, Joel Magid himself and headlined by And And And. PREMIERE: The Century - "Here's to Nothing"
The Century's Losers EP came out just late last year, and as their second EP, it's already on it's way to maintaining their position as indelible contenders in Portland's rock n' roll scene. Today, they're dropping the lead track on the EP, "Here's to Nothing." It delightfully plays with both the lo-fi distortion of classic garage rock and the catchy, sing-a-long aspects of a good pop song. Let "Here's to Nothing" serve as the anthem to the apathetic soul in all of us. Listen below! 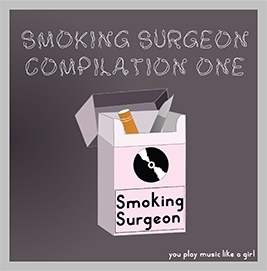 Recently launched PDX label Smoking Surgeon is preparing to release its first compilation, You Play Music Like A Girl, just before the holiday hits. Don't let the title upset you though, Portland. The main focus of the compilation is to spotlight Portland's various female-inclusive acts, attempting to counteract the phrase's negative connotation in a satirical and talented way, bringing new life to the phrase. ...Like A Girl will feature some of the city's finest in fem power, from bassists and guitarists to keyboardists and songwriters. Vocalists, too. Enjoy the sounds of locals Old Wave, Haley Heynderickx, Coco Columbia and Pony Village on the comp, plus many more. A release show will be held in celebration of its launch at the Liquor Store on December 22nd. Playing the show will be Lubec, The Century and Moniker with entrance only being $5. Just so you know, $8 will get you entry plus a copy of the comp! Smoking Surgeon Records was bred by lovely lady musician Emma Browne and Justin Chase, who happened to come from a home of musically inclined women. Aside from a mutual passion and respect for women in music, the two also share the stage as part of the band Rare Diagram. Both in the band and as a record label, the two only manifest a greatness worthy of all our attention.